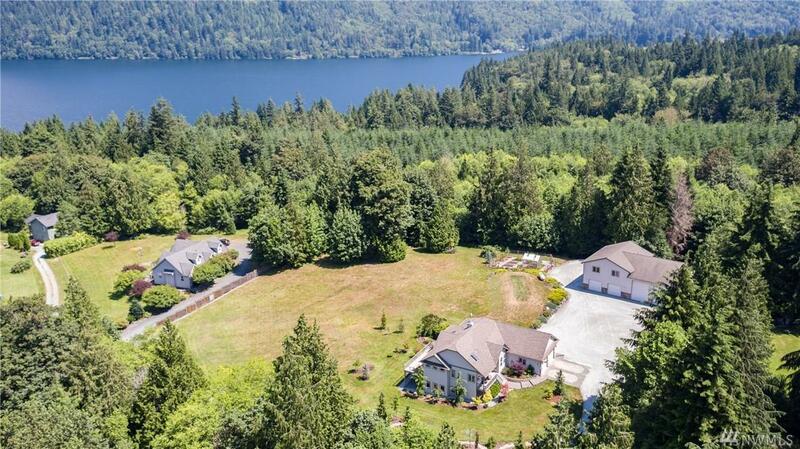 Just 10min to I-5 offering amazing access to recreation w/easy boat access at lake. 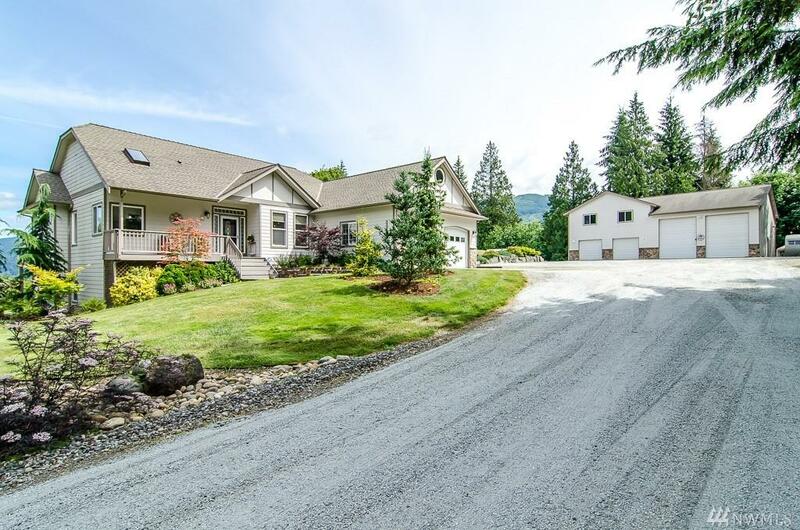 Custom residence on 5ac, w/views of Lake Whatcom & surrounding mountains. Living & dining drenched in light. Kitchen w/granite, stainless & pantry w/great storage. 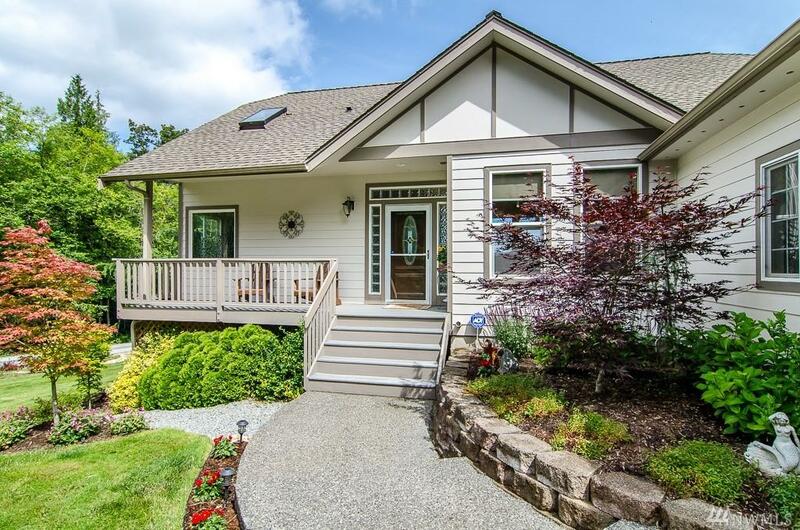 2bdrms & Master on Main w/walk-in, 5pc bath & entry to lake view deck spanning entire main level. Lower w/rec-room, kitchenette, office, extra rooms +bed & full bath. 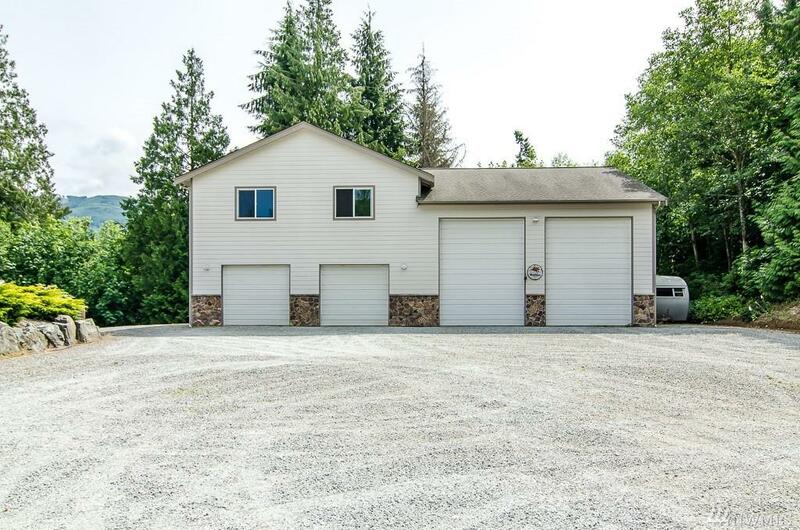 2400sf 4bay shop w/2 RV doors, 1/2 bath & insulated 1200sf apt. Greenhouse & gardens.